Slice the baguette crosswise into 1/4 inch thick slices In a small bowl, stir together the butter, olive oil, and chopped garlic. Spread the butter mixture onto each slice of the bread. Place the slices onto a cookie sheet buttered side up. Bake at 375 degrees F (190 degrees C) for 8 to 10 minutes, or until lightly toasted, and hard. You might also like. Avocado Ricotta Crostini…... Sweet and savory appetizer - caramelized onion and brie crostini make planning party food easy! Step by step recipe great for the holidays or hangout. 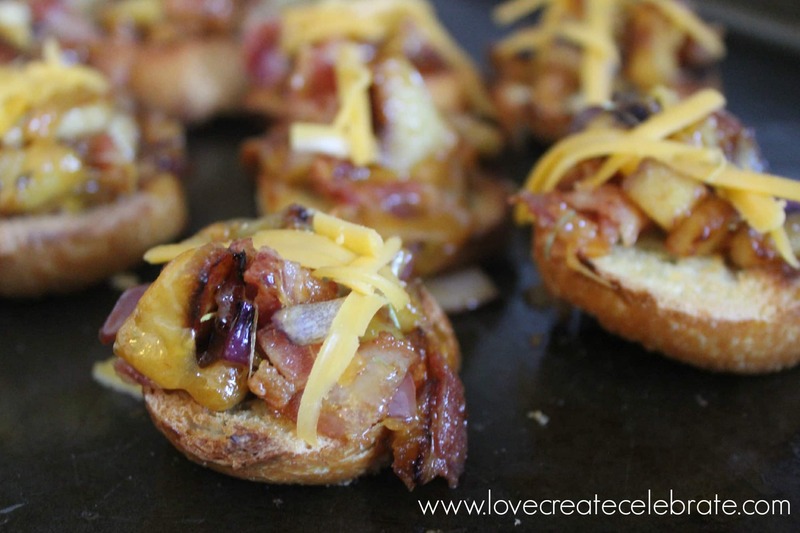 Step by step recipe great for the holidays or hangout. Method. 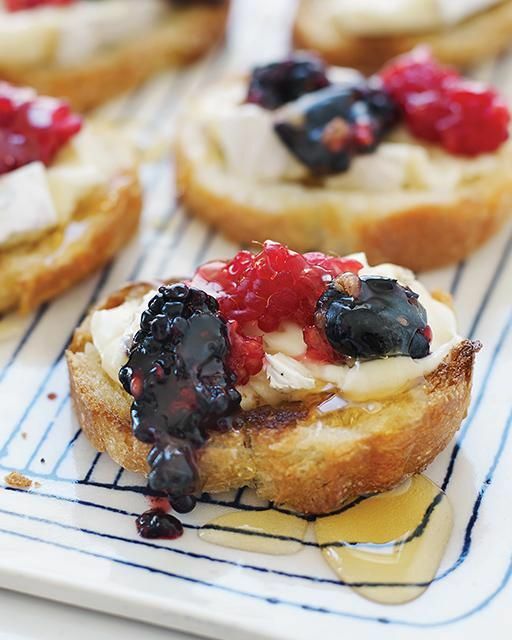 To make the crostini, drizzle a little oil over a thinly sliced baguette or ciabatta then grill until golden and crisp. For the tomato topping, mix the tomatoes and almonds with a …... Preparing crostini from bread rolls or baguettes is super easy. Just cut thin slices of the roll using a bread knife at an angle. You can also buy precut small slices of bread from grocery stores if you are pressed for time. While a quality baguette is the usual choice to make crostini, totally acceptable gluten-free baguettes are now readily available in bakeries for your gluten-free friends and family to enjoy. And if you’re following a keto diet, how to put a switchblade knife together How do you make crostini? Preheat oven on broil to 500 degrees. 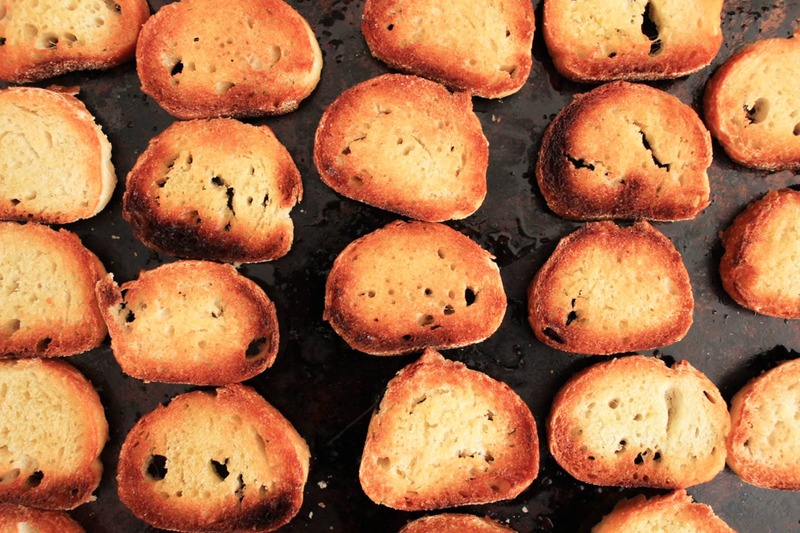 Place baguette slices on a baking sheet and lightly spray with olive oil. Place in oven and toast until a nice lightly golden brown. Crisp Corn Crostini on Garlic Baguettes are a quick, noncook appetizer that has fresh corn, garlic, creamy goat cheese all spread over a whole grain baguette! 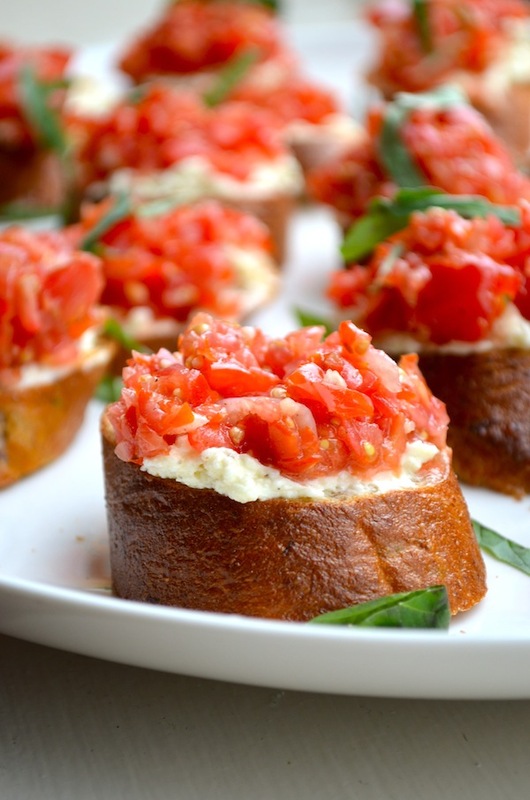 Goat Cheese Easy Crostini Recipes, Appetizers, Bar, Toppings, How to Make, Bread, Easy, Best how to receive money from bank of america mobile transfer How do you make crostini? Preheat oven on broil to 500 degrees. Place baguette slices on a baking sheet and lightly spray with olive oil. Place in oven and toast until a nice lightly golden brown. Description. Crostini are small, thin slices of toasted Baguette-style bread, which are usually brushed with olive oil or melted butter to which garlic and other herbs and spices can be added.